Chicken Parm, Clowns And American Pie. How I spent My Saturday Night. After a great chicken parm dinner with the Coupongy Correspondents from Cherry Hill, the Fireman and I went to see Judy Collins and Don McLean in concert. I fully admit I did not know anything about Judy Collins. What I thought I knew was totally wrong. According to the concert handout, Judy Collins has inspired audiences with sublime vocals, boldly vulnerable songwriting, personal life triumphs, and a firm commitment to social activism. I don’t know about any of that, but what I do know now is that she has an angelic voice that thunders throughout the whole arena. I had no idea. Click here to hear Judy Collins sing “Both Sides Now”. 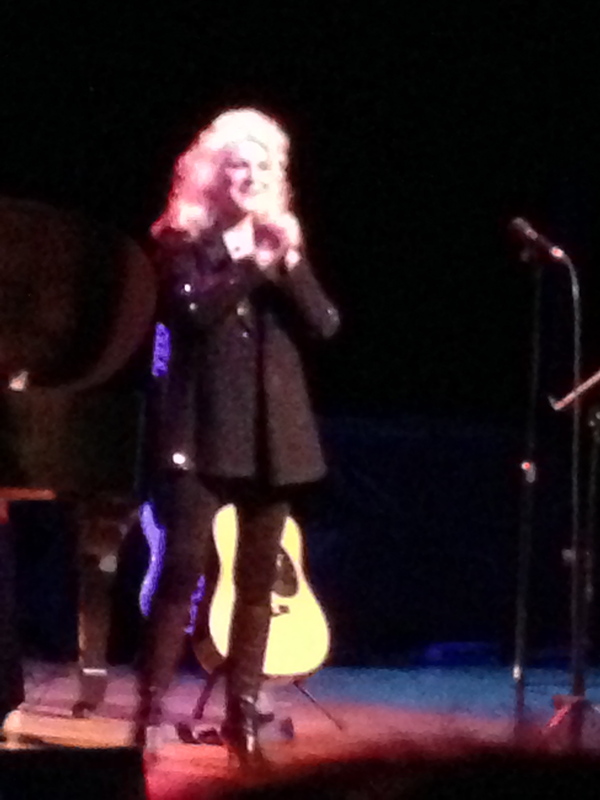 Click here to hear Judy Collins sing “Take Me Home Country Roads”. Click here to hear Judy Collins sing “Send in the Clowns”. 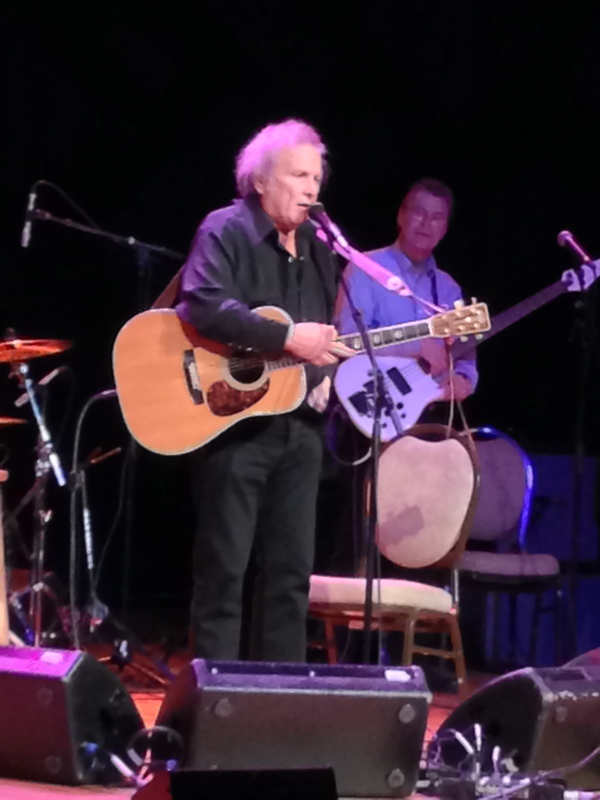 The second part of the evening was brought to us by Don McLean. I love pie. I love American Pie. 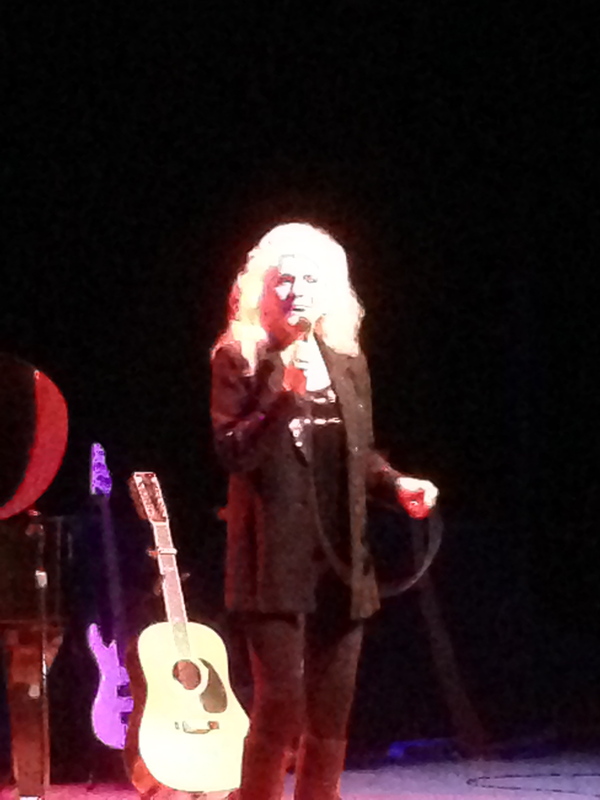 I heard people around me comment that they were surprised that Judy Collins opened for Don McLean. I don’t know. 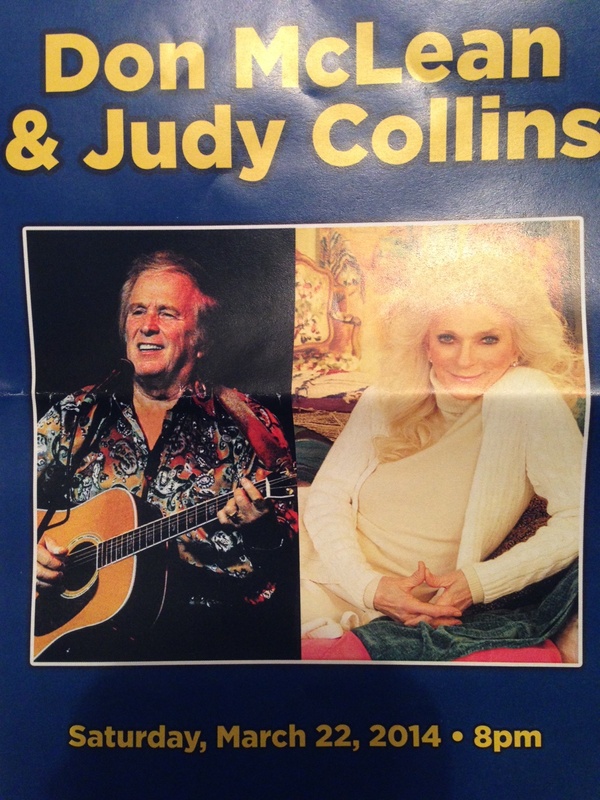 Nothing against Judy Collins, but it seemed ok to me. Probably because I love pie. 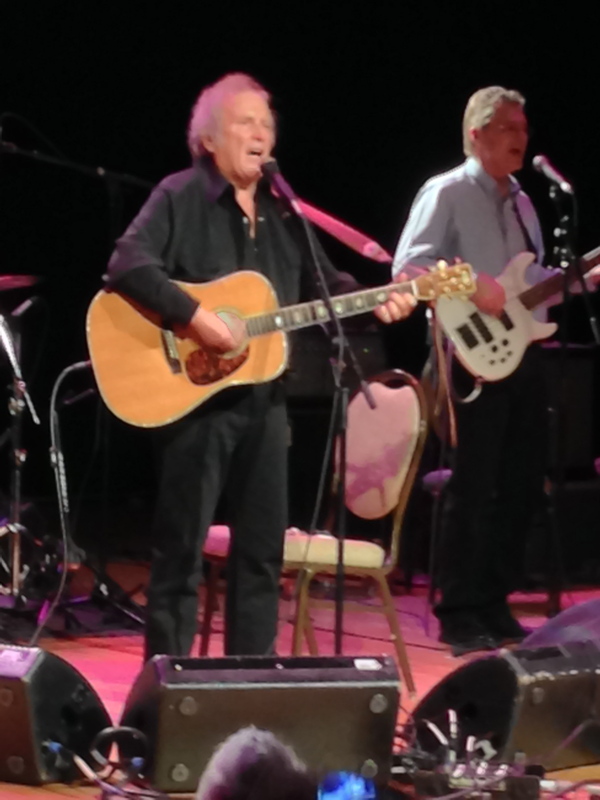 Also according to the concert handout, Don McLean has over 40 gold and platinum records world-wide and in 2004 was inducted into the Songwriters’ Hall of Fame. As for me, he could have stood on stage and sang American Pie for the whole hour and I would have been fine with that. It was that good. And, I even spotted my dentist in the crowd getting down with his bad self! Click here to hear Don McLean sing “Empty Chairs”. Click here to hear Don McLean sing “Castles in the Air”. Click here to hear Don McLean sing “Everyday”. Click here to hear Don McLean sing “And I Love You So”. Click here to hear Don McLean sing “Starry Starry Night”. 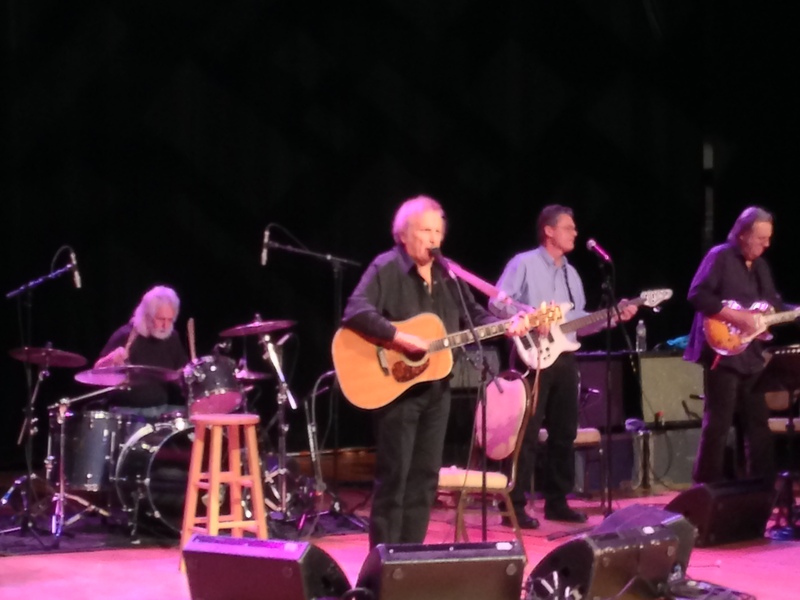 Click here to hear Don McLean sing “American Pie”….it is 10 minutes, 10 seconds long! Turn up your volume and sing like nobody is watching! Or just eat a piece of pie and listen to some great music!